Dating in your senior years is a little different to what it was in high school or the college days. Here, most people are looking for a social relationship than finding the love of their lives. Of course, you may still find the love of your life even after 60 years. The funny thing is that, as we mature, the dating rules tend to change and you must be able to make the necessary adaptations to win the game. One place where people fail miserably when it comes to dating after 60 is that they do not understand whom they try to date. Most of these mature people have lost their significant other and recovering from their loss, or they have gone through a divorce or have been cheated by their partner and will have some serious trust issues. Along with these, there are some interesting characteristics of singles over 60 years. The single women over 60 you see in the dating world are having a good income. On one part, they will have the pension of their own and on the other, the pension of their late husband. These women are not looking for an economic backing. They have enough money to live a comfortable life. So, unless you treat them with the respect they deserve, they will not be willing to date you. At the same time, most of these women have had their days with the men. The women of the latter half of the twentieth century had to fight for their equality in a male-predominating world more than any other generation. Single women over 60 bear the scars of such battles and they are not ready to lay down their arms and be the housewives they always refused to be. In the same way, single men over 60 had their days with the women. They have dated girls in high school in their younger days. Most of them were married and had children. Men in their 60’s are a little backward compared to the women of the same age. They are looking for a caring woman, not someone who is ready to start an argument over every single thing. They are simply tired of having a lifetime arguing with women and would settle for someone who listens to them and who cares for them. 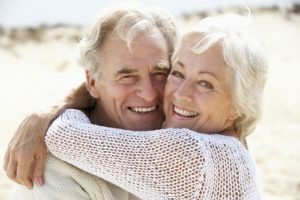 What to Expect when Dating After 60? Dating after 60 is all about understanding these dynamics of the human relationships. You might have seen a lot of men and women in their 60’s settle down with people who are much younger than them. It is always not that they are attracted to a younger body, but the young are willing to give that love, care and more importantly the respect they seek. Dating after 60 is perhaps the most genuine way of dating. You have lived your life and now no point trying to be someone else. Be who you are and date whom you love to be with. Go out and meet people and start casual conversations over things you like. Soon you will be rocking the dating world in your 60’s. Humor is the most important thing for dating in your 60’s , I love to laugh and make others happy ! !